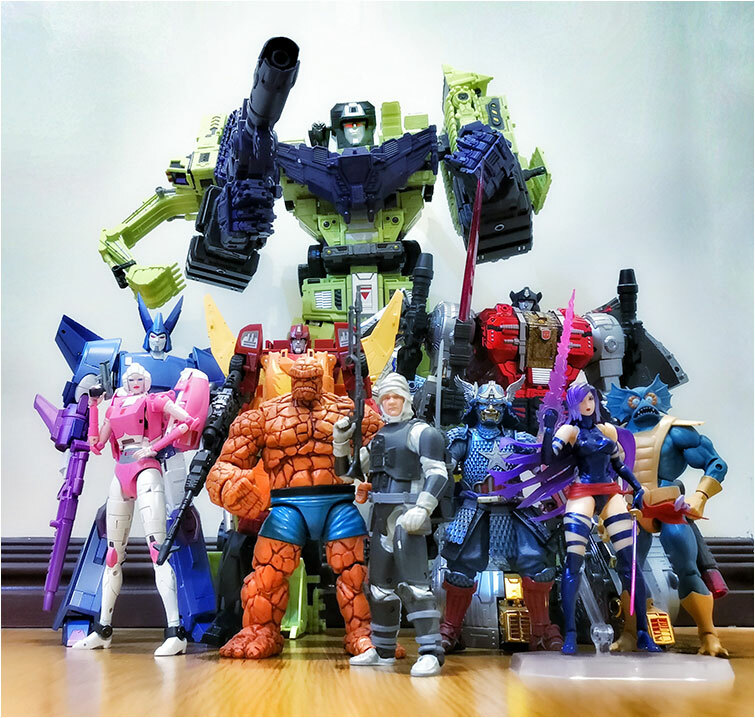 In 2018, I did something that I should’ve been really doing from the start of my toy collecting hobby. I basically took note of every single toy that I bought that year, and it was quite the eye opener. I guess it applies to more than just toys, but it’s easy to lose track of exactly how much new stuff you accumulate in a given year. Recording every purchase gave me a greater appreciation of what I got, and so I’d like to finish off this whole “best of 2018” with a general recap. 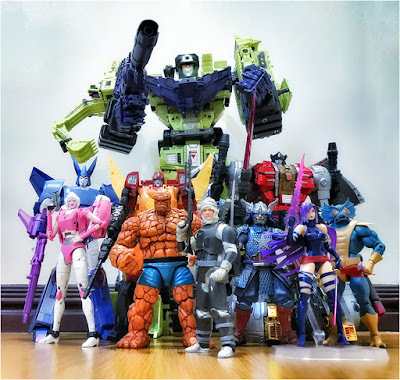 To start things off, here’s a overall list of all the toys I talked about in all my 2018 best of series. Take note these are just toys that were just honorable mentions or actually at one point in my top ten list. Not sure if this is a good thing or not, but there was a whole lot more that I bought last year. Anyway, each item is color coded by the quarter that they were purchased. FIRST, SECOND, THIRD, FOURTH. I guess it comes as no surprise that out of all the toys I bought this year, a majority of them were Transformers. I have and always will be primarily a Transformers collector. It’s what got me started on this second phase as a toy collector to begin with. Anyway Transformers, both official and 3rd party took 5 slots on the top 10 and 23 slots of the top 53. While 2017 was spent filling up all the holes in both my 1984 & 85 Masterpiece Autobot lineup, last year I actually completed 1984 with the addition of X-Transbots Toro (MP Cliffjumper). And I got two steps closer to completing 1985 with the addition of Gigapower’s Graviter (MP Sludge) and X-Transbots Savant (MP Skids). 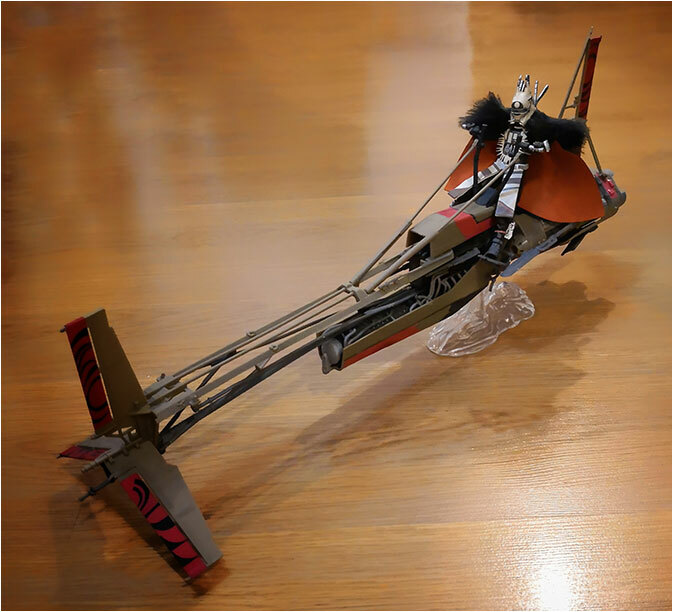 Now all that’s left is for Gigapower to finish up their Dinobots with the Gaudenter (masterpiece Swoop) which is expected to be released first quarter of 2019. 2018 also saw me pretty much completing the main cast from 1986 Transformers animated movie. We got Fans Toys Rouge (MP Arcee), Unique Toys Buzzing (MP Blurr) and DX9 Carry (MP Rodimus) to round up the Autobots. And for the Decepticons we got X-Transbots Andras (MP Scourge) and Fans Toys Quietus (Cyclonus) round up the evil trio with my Sovereign (MP Galvatron). On the official side, Hasbro gave us the Power of the Primes. While I wasn’t overall thrilled with the line, I was quite happy to finally get an Abominus to add to my Combiner Wars shelf. They also gave us the Studio Series line which featured upgraded designs of the live movie Transformers. While I generally stayed away from the line, I couldn’t resist some heavy hitters like Blackout and Grimlock. Coming in close at Transformers heels were “Superheroes” which was mostly Marvel Legends with a few Japanese imports sprinkled in. Of the top 10, they took 3 slots and or the top 53, 21 slots. 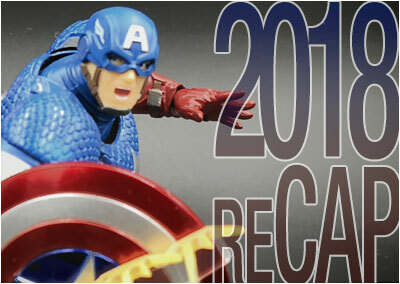 Hasbro started 2018 with a bang, releasing new waves of Marvel Legends almost every month. To say it was overwhelming would be quite the understatement. It was really hard to keep track of every new release. But if I had to choose, I would give an extra nod to the build-a-figures they released. We got so many good ones, from the surprising SP//dr, to classics like Kingpin, Apocalypse, the Lizard & Sauron, modern updates like the MCU Vulture and of course personal favorites like Sasquatch. They absolutely killed it with these figures. While not as prolific, Japanese companies like Bandai and Kaiyodo managed to make their mark on my list as well. 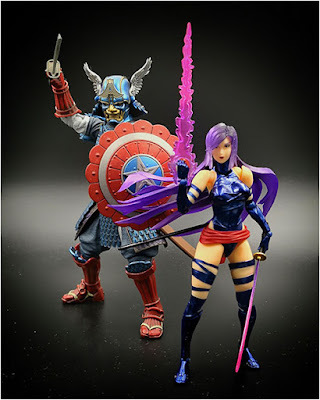 As expected, one of my most anticipated toys of 2018, Bandai’s Manga Realization Samurai Cap came in strong and stayed firm in the top ten for the whole year. On the flip side, Kaiyodo’s Amazing Yamaguchi Psylocke, crashed the top ten list at the last moment. This was quite unexpected as I was honestly expecting the worst from this figure. Recency bias aside, she definitely was a great purchase to end the year with. Thanks to the company Super7, The MOTU Classics line is not dead. While thankfully there weren’t too many figures released in 2018, they did manage to sneak in some sentimental favorites into my lists. Comic based Trap Jaw, Filmation Chopper and Mer Man were definite highlights for me. But Filmation Teela and the Sorceress weren’t quite up to par with their facepaint still being a bit off. So I decided to hand them over to talented artist Myke Dela Paz for a mother-daughter makeover. 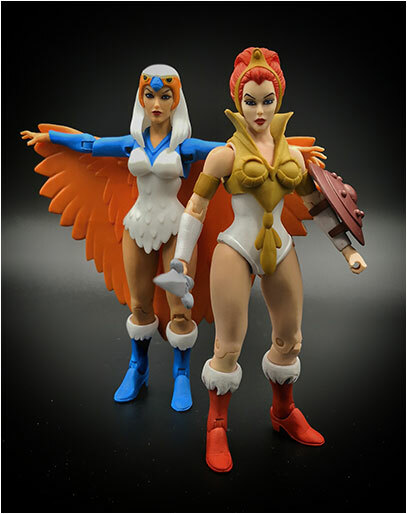 The end result was...well not what I expected, but in a good way, Myke truly brought out the beauty in both figures, definitely surpassing their Filmation look. Anyway, MOTU took 1 slot in the top 10 and 5 slots in the top 53. And Finally we have Star Wars. 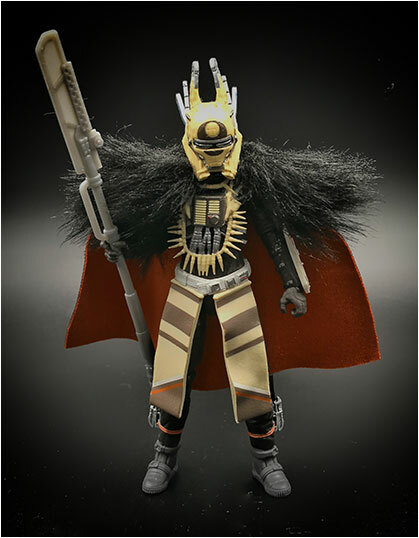 Just like they did with Marvel Legends, Hasbro really stepped up with their Black Series. Thankfully they focused more on quality rather than quantity. We didn’t get too many Black Series figures overall, but we got a lot of great ones. While Star Wars only snagged 1 slot in the top 10 (4 over all), that slot was the most important one with Dengar finishing off at number one, taking down the great big giant Devastator. Dengar was just the tip of the iceberg as 2018 also saw me finally complete my Episode 5 Bounty Hunter lineup with the release of Zuckuss and 4-Lom as well, definitely my favorite “collection goal” achievement for the year. 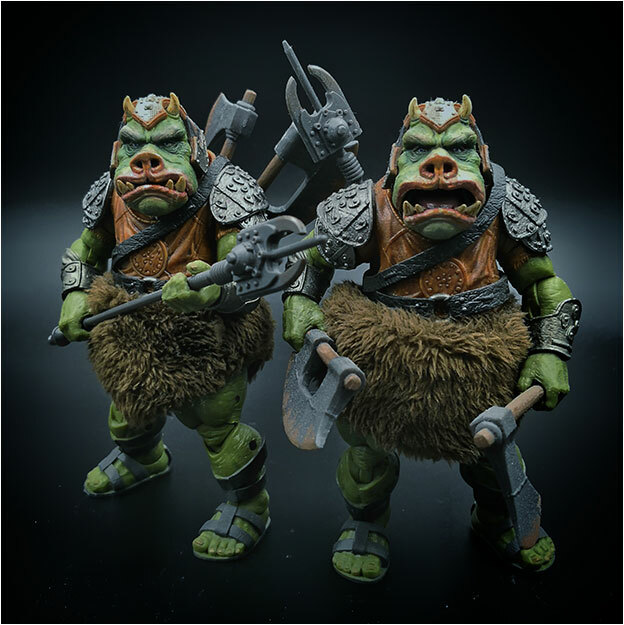 And if that wasn’t enough, we got a fantastic Gamorrean Guard (I got 2!) to help shape out Jabba’s Palace. 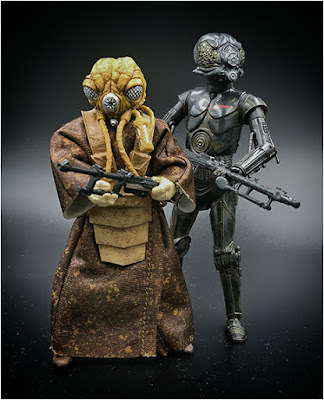 Hopefully we will get a Bib Fortuna and a re-release of Salacious Crumb in 2019….and while they’re at it a Max Rebo Band as well (hey we can dream right?). Anyway when I originally set out to do this recap, I planned to make it some sort of “awards” post...like most expensive, best detail/sculpt, most fun, most disappointing etc..but I got too lazy to come up with any interesting categories...oh well, maybe something to do for next year. I do want to touch on two more toys that just happen to fall under Star Wars as well. One that was most surprising (in a good way) and the other...disappointing. So let’s get the bad out of the way. After first seeing her in the Solo movie, I became quite the fan of Enfyst Nest so I was excited when Hasbro produced a figure of her. Problem was that she came with her huuuuuge swoop bike. Regardless, I was so excited that I preordered her immediately. Anyway in hand, while the figure itself was great the bike was just meh. In retrospect, subtracting the usual price for a single figure from what I paid, I’m left with a huge hunk of plastic that I spent too much for and have no space to display. If I could do it again I would’ve just searched for a loose Enfyst Nest on eBay and completely pass on the bike. And now something good. While he didn’t make the top ten in any quarter, I did give him an honorary mention simply because I was genuinely surprised with what I got. 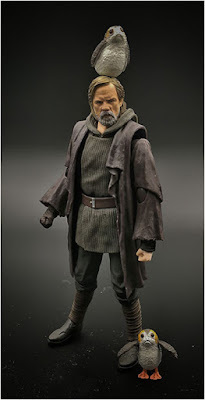 SH Figuarts Old Man Luke Skywalker was a figure I initially pre ordered thinking he was the force projected version that fought Kylo Ren on Crait…..turns out he was the grumpy old, green milk chugging version from Ahch-To. Anyway, initial disappointment over mistaken identity aside, THIS old man Luke is a very nice figure. He didn’t even come with much in terms of accessories (his walking stick or a bottle of Thala-siren milk would’ve been nice though), but I didn’t mind. His face sculpt and paint really make this figure shine….it’s perfect. You can see every ounce of disappointment, pessimism and disillusionment etched on his mugg. And with that. We have another year in the books. As of this writing I have already made my first purchase of 2019 and I’m looking forward to more. Here’s to a new year for toys and more a new batch of stories to tell from my toyshelf.